THE HAGUE, Netherlands (AP) — A jogger’s run through the Dutch countryside turned into a walk on the wild side when he discovered a lion cub in a field. 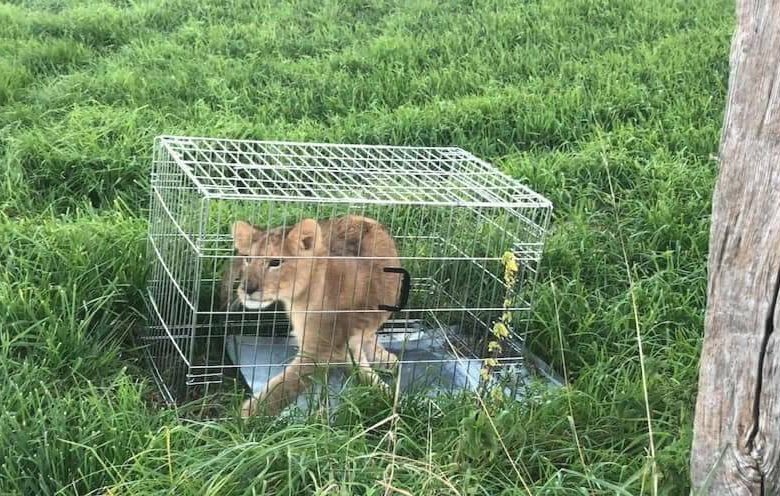 Police say the young cub was found Sunday in a cage dumped in a field near Tienhoven between the central cities of Utrecht and Hilversum. Police have taken to Twitter to appeal for help in tracing the animal’s owner, while the young cub, a male believed to be about five months old, is being cared for by a foundation that looks after big cats. The foundation said on its Facebook page that the cub “is very tired from the hectic events” and is in quarantine. It adds that the cub is drinking water and already feeling at ease in its new surroundings.